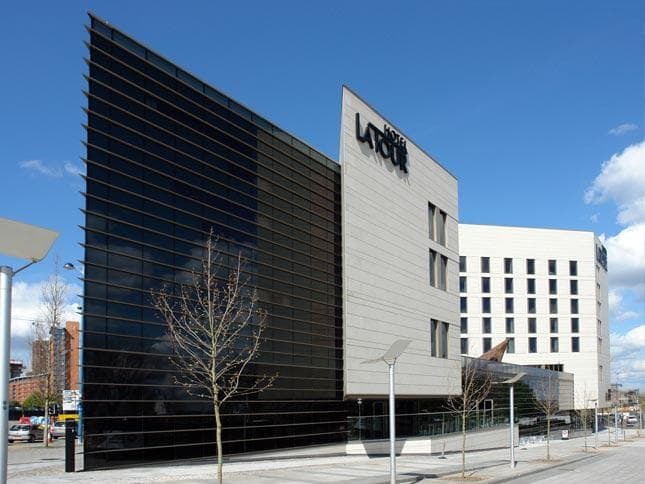 The striking Clayton Hotel is a nine storey luxury 4 star hotel located in Birmingham city centre with ultra-modern architecture. 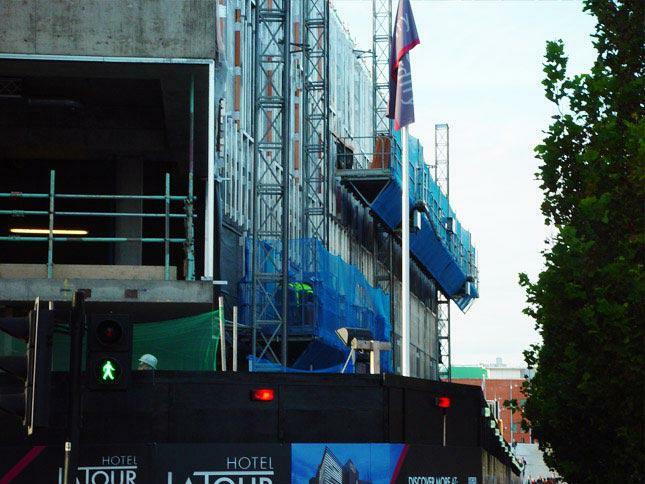 You can visit the Clayton Hotel website to see the finished project. 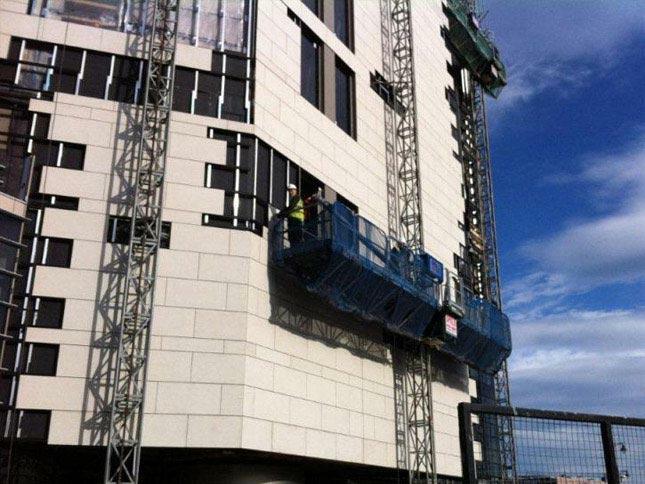 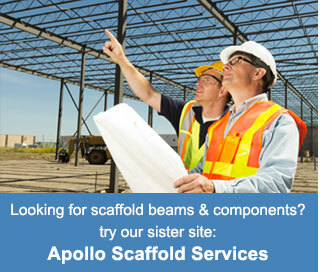 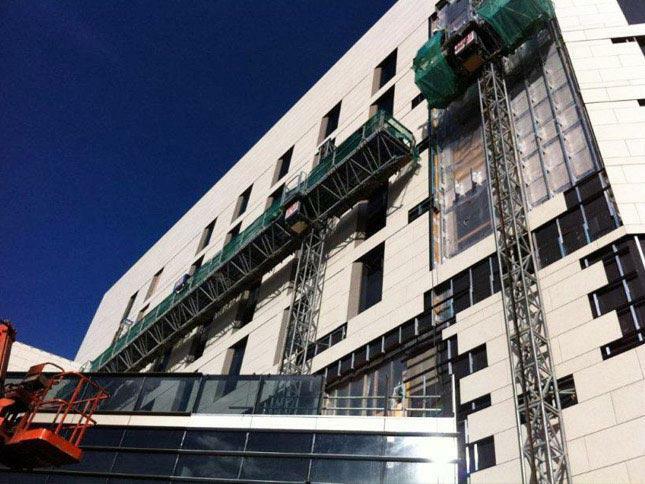 To provide access for installation of curtain walling, SFS and shackerley architectural ceramic tiles. 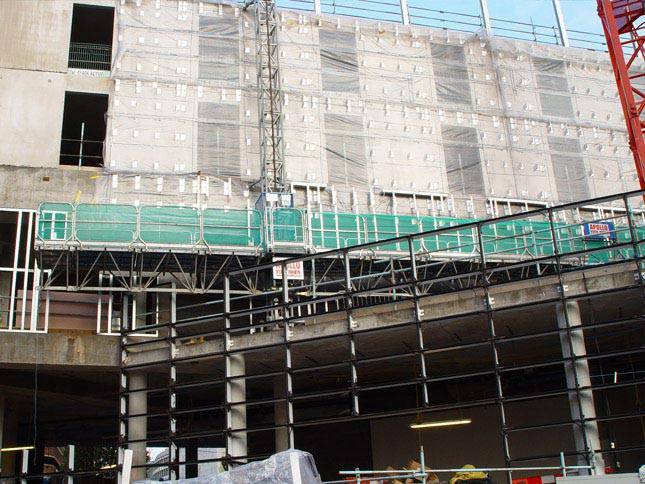 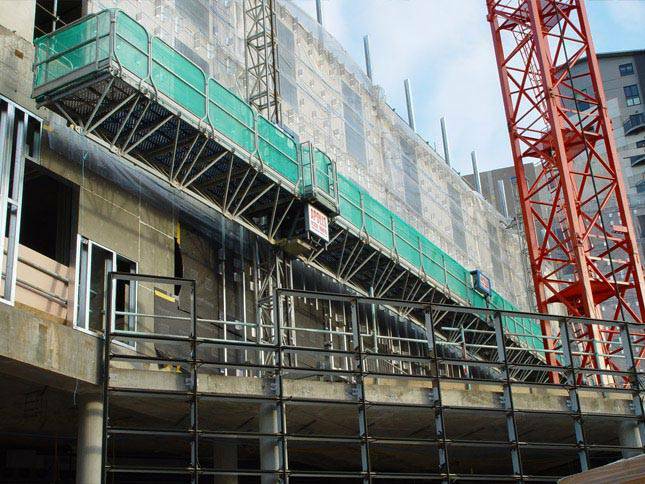 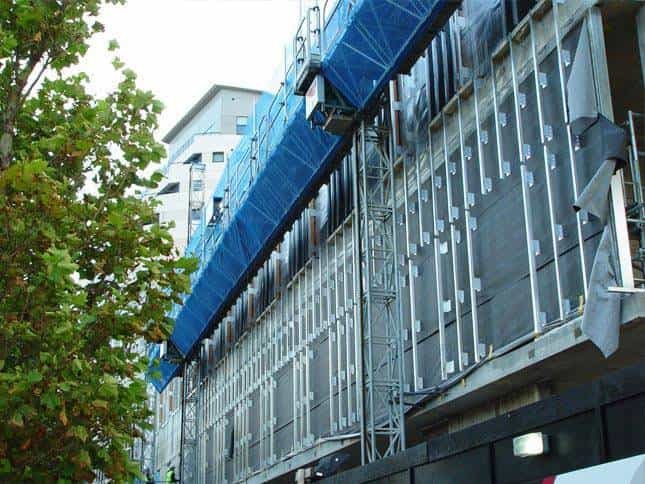 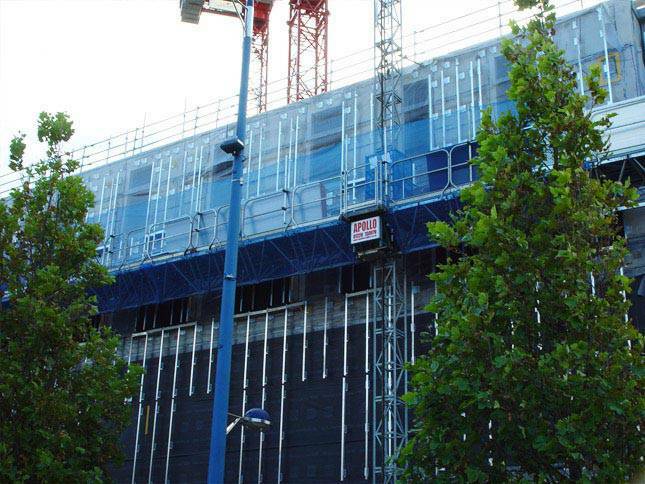 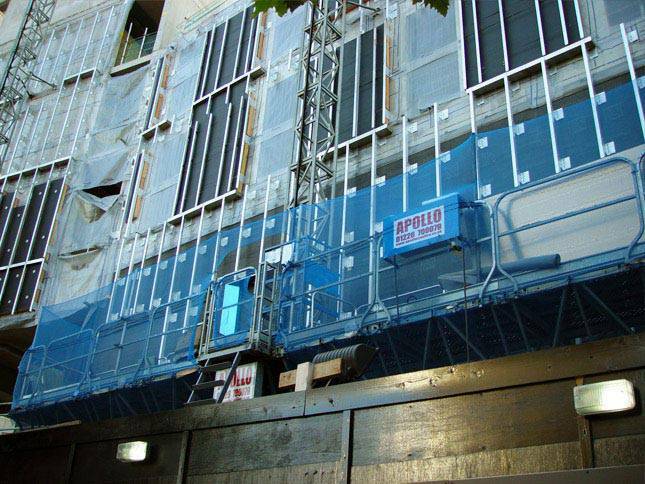 Mast climber Installation & rental to provide access for different types of facade installation.